PORT RICHEY, Fla. (WFLA) - A Pasco County man is behind bars after deputies say he hit his girlfriend with a burrito. Peter Elacqua, 41, was arrested Monday in connection with an incident that happened last week. According to an arrest report, Elacqua was arguing with his girlfriend Friday at their home on Felsdale Avenue in Port Richey when it happened. 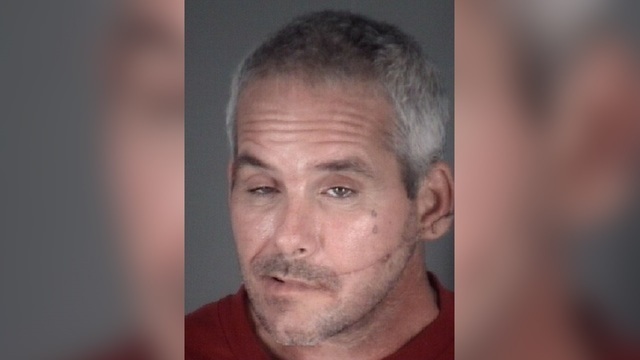 At some point during the argument, deputies say Elacqua shoved the woman into a chair and threw his burrito at her, hitting her on the left side of her face. The first deputy who responded to the scene saw the contents of the burrito on the victim's face, neck, shoulder and chest area, the arrest report says. Elacqua left the scene after the incident. Deputies called him to let him know about the allegations against him but say he refused to cooperate and wouldn't tell them where he was. The arrest report says he then turned his phone off. Deputies were eventually able to find Elacqua and arrest him for domestic battery.